In general, men’s skin is firmer and more robust compared to the one of women. On the other side, men tend to have oily skin and wrinkles are more pronounced. But because of the robust skin which is rich of collagen and 0.2 mm thicker than the women’s one, it is firmer. And due to the protective acid mantle the skin is less sensitive to environmental impacts such as solar radiation or dry air, because it also consists of more melanin. But that doesn’t mean you need to care less about your skincare. Not at all. As mentioned already, men’s skin is oily and therefore produces more acne and tend to get wrinkled quicker. Therefore, it is of high importance to use the right products for your daily grooming. Since we have an oily skin we should not use too oily products. 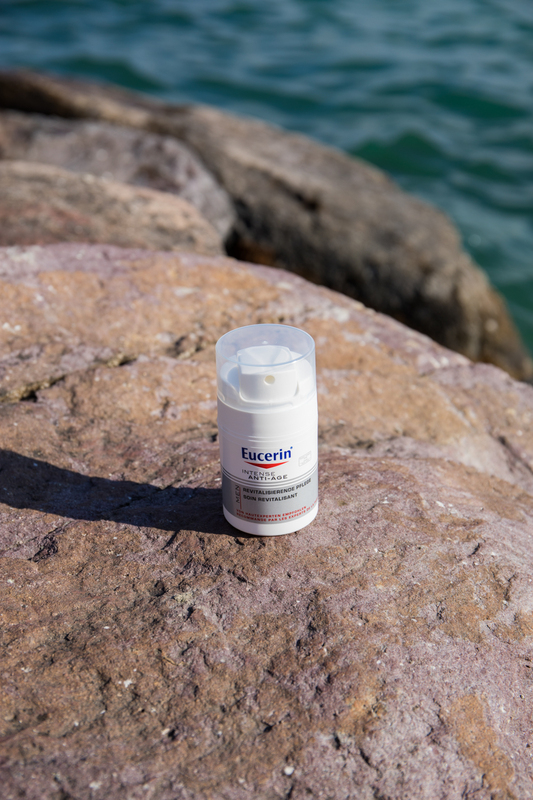 Rather go for moisturizing creams and for example with an anti-aging effect to protect against the wrinkle production such as the Eucerin MEN Intense Anti-Age Revitalizing Skincare, which combines all these factors which are so important for a healthy men’s skin. Another factor when it comes to men’s grooming is the beard care which needs a closer look and better having the right products to avoid skin irritations, because shaving puts a lot of strain to the skin. You better have some non-irritating shaving foam and a calming after shave balm. But now, let’s talk about the sun protection, which is especially in this season essential. The sun is out and everyone wants to lie in the sun and get tanned. And as I mentioned before we have the more robust skin and higher share of melanin in our skin. But that does not mean that men don’t need to care about the sun protection at all. Because every sunburn is dangerous and I don’t need to tell you all the negative aspects of getting a red color instead of a healthy tan but two of them are: cancer risk and your skin grows old quicker. So just get back into the shadow or use the right sunscreen when you decide to lie or even sleep in the sun. Depending on your skin as well as how strong the solar radiation is, you need a different protection factor and additional products. I would say 30 SPF is usually a good choice if you have a slightly tanned skin. You could use the Eucerin Sensitive Protect Sun Spray Dry Transparent, which can be perfectly used for normal and oily skin. 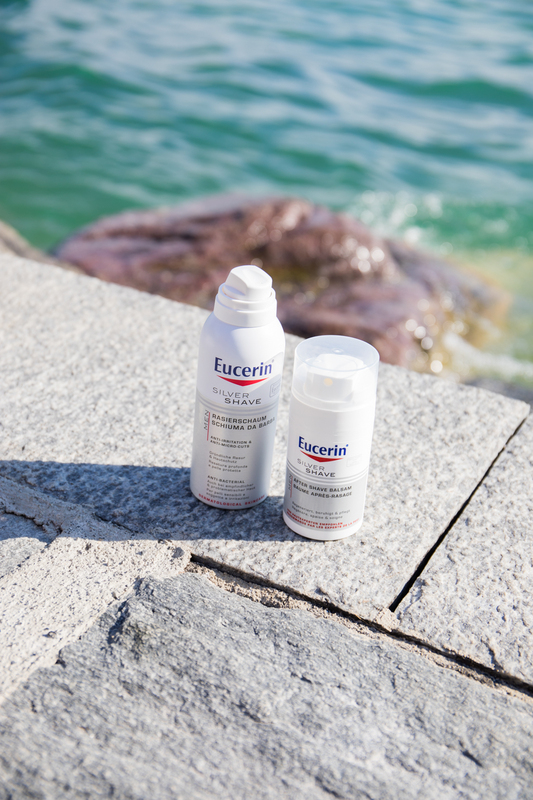 If you have a rather sensitive skin you better go for the Eucerin Sensitive Protect Sun Spray Dry Touch SPF 50, to have a better protection. In any case, for your face I would rather recommend to use a sunscreen which has a SPF 50 because it is usually more exposed to the sun. Eucerin Oil Control Face Sun Gel-Crème is non-irritating and with a matt and dry finish. As for now, I think you should be ready to enjoy these sunny days without having any negative impacts on your skin. Happy sunny summer days to all of you!